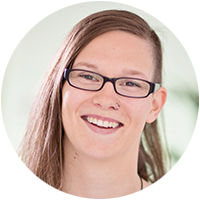 Innovative, contemporary, and efficient: Developer Petra Nußdorfer uses these three terms to define the Adapt Learning project. Learn what it can do and why you need to be familiar with this open source tool. Adapt Learning aims to develop a free-of-charge authoring tool for creating responsive e-learning content, or in other words, e-learning courses that flexibly adapt to the terminal device used in each case and enable mobile learning. A large global community will (further) develop this tool which is simple and intuitive to-operate. Adapt is to achieve widespread use as a GPL open source license. We at LearnChamp are very proud to be able to call ourselves an official Adapt Learning Collaborator since the beginning of March 2014 and participate in the project’s core team. further developing the framework. The next version is currently in the testing phase. Hence, we won’t have to wait long for the next release. without previous programming knowledge to develop e-learning courses they can only dream of today. Until then, it is possible to transparently follow the process status. There are already some design drafts of the graphical interface in the community and active collaboration is encouraged. What makes the Adapt Learning project so unique? What’s unique about this tool is the ability to flexibly adapt e-learning content to different devices such as laptops, tablets, and smartphones. Both the graphical interface and the content itself automatically adapt to the device used. With Adapt you only have to produce one single version that can be used to provide content in high quality on all devices. In addition, the project is characterized by the level of close cooperation among the community. The developers and designers working for Adapt Learning use a forum to provide information on current progress at all times, answer questions, gather suggestions for new functions, and create feedback sessions. This makes the community the right place to contribute your own ideas. Those who want to do more can also contribute to development, design, or testing. For more information, visit the official Adapt Learning project website. Last but not least, both the framework and the authoring tool will be provided free-of-charge under a GPL open source license. Just as the explosive spread of mobile devices shook up the computer industry, tools to develop responsive e-learning content are set to permanently change customer and learner requirements. An open source project as ambitious as Adapt Learning has the potential to be at the forefront of this change. E-learning authoring tools, a segment which has been rather introspective and fragmented so far, is definitely facing some serious challenges.